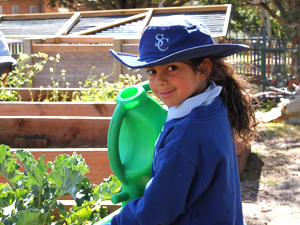 South Coogee Public School provides a nurturing and welcoming environment for students from diverse cultural and socio-economic communities, accomodating 23 classes. The school population is consists of 32% of students from language backgrounds other than English, 10% of students come from Australian Defence Force families (supported by a part time Defence School Transition Aide) and 3.9% identify as Indigenous Australians. The school has an active focus on Visible Learning practices in a restorative and resilient school environment. Researched based practices support teacher and student clarity for effective learning. All learners and teachers understand ‘Visible’ as learners who apply effective habits of thinking and doing, can explain and understand progress, as well as understand how to learn and regularly seek, receive, give and act on feedback. There are high expectations for sporting endeavours, the performing arts and the provision of extracurricular programs. There are also provision of programs for gifted and talented students, combined with learning support assistance that ensures individual student learning needs are met. A strong Parents and Citizens association supports a dedicated staff in providing high quality teaching and learning programs for all students. Also on site is a committee led OOSH facility and a community based full time day care centre for 2 to 5 year olds. Our school is committed to the Visible Learning principles guided by the research of John Hattie. 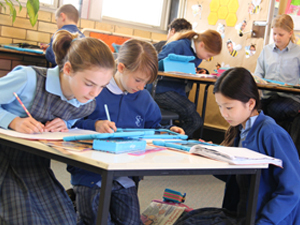 At South Coogee Public School we want to have the biggest influence on learning. Therefore, our focus is on the strategies that have been proven to have the strongest impact on learning. All classrooms are equipped with interactive whiteboards and computers with an increasing emphasis on Technology for Learning. There are high expectations for sporting endeavours, the performing arts and the provision of extracurricular programs.